The first thing to do is to block the date for the reception and the ceremony. Our Wedding Package includes our air-conditioned Garden Venue (choice of Lafayette, Paris and Luxembourg Garden) and exquisite dining by our Accredited Caterers, with the flexibility to add Mood Lighting and Professional Sounds, LCD Projector and Crystal Chandelier. 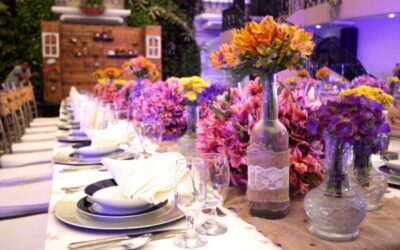 Just a few weeks ago the highly anticipated wedding of Martha and Paul (portrayed by Isabelle Daza and Gerald Anderson) in ABS-CBN’s teleserye Nathaniel was shot at Hanging Gardens Events Venue. 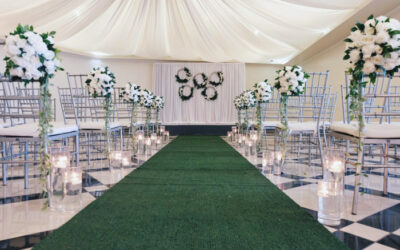 Planning an elegant and glamorous wedding? Then a black and gold wedding theme is perfect for you. This wedding theme is modern and is a mix of sophistication and chic. 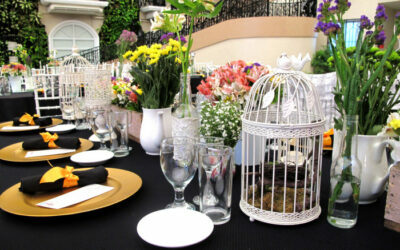 Black table linens help colorful flowers and golden details stand out. Ever a popular choice, vintage and rustic themed weddings add to the charm of a garden venue. In this stunning example, delicate hues of pink, purple and yellow, burlap table runners and wooden decors played up the tablescape. Those who love deeply truly never grow old and there is nothing quite like celebrating many years of togetherness with family and friends in an intimate garden. 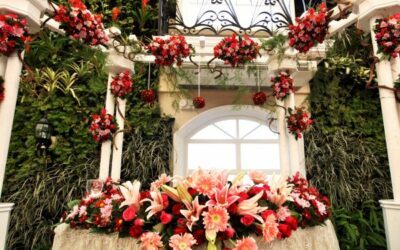 Reaffirm your love by renewing your vows at the Hanging Gardens! 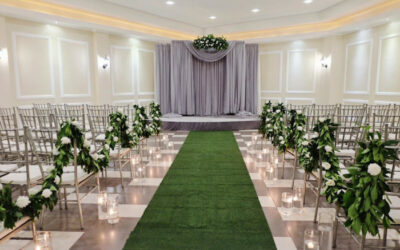 This wedding ceremony set-up recreates the beauty of a manicured garden indoors. Potted flowers render a clean display of color and a green carpet, in lieu of the usual red, adds to the outdoor impression. Faraway countrysides and gentle hills serve as the inspiration for this ceremony set-up marked by chic details, golden light and natural foliage. There is nothing quite like walking down the aisle under the canopy of nature.